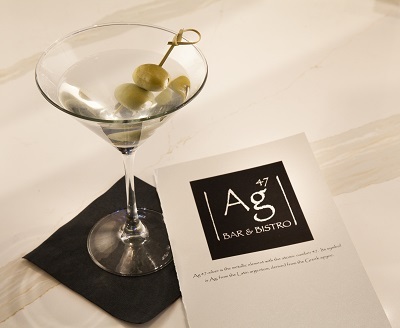 During your upcoming stay at the Silver Cloud Hotel – University District, make sure to visit the brand-new Ag47 Bar & Bistro. Conveniently located next to the hotel’s lobby, the Ag47 Bar & Bistro pairs NW craft beers, Washington wines, and specialty cocktails with a variety of creative small plates, homemade flatbreads, and inventive light entrees. Whether you’re here on business, visiting the University, or exploring Seattle, you’ll love the welcoming atmosphere, artisanal fare, and carefully-curated drink menu at Ag47 Bar & Bistro. Stop by for a drink and a bite for a fun and relaxing evening in Seattle! Open Daily from 4:00 p.m. until 11:00 p.m.
Planning a party, happy hour, or private event? Get in touch with our experienced event planning team to book your next function at the Ag47 Bar & Bistro!